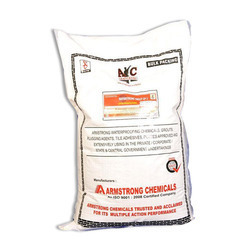 Manufacturer of a wide range of products which include grout admix for chemical industry. We are figured as the first produce, and supplier of Grout Admix. The offered grout admix is absolutely prepared utilizing premium quality fixings and development innovation as per quality gauges. This grout admix is utilized as a part of perfect concrete grout & sand grout for infusion into cement structures. In addition, clients can profit this grout admix from us at sensible rates. Looking for Grout Admix for Chemical Industry ?